Good Morning Friends! 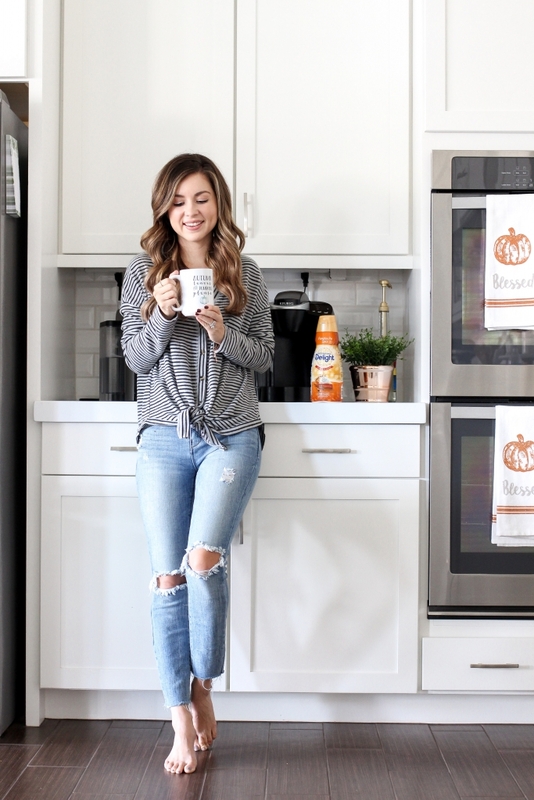 If you love pumpkin and coffee this post is for you! Also me because I’m having one of these delightful cups right now. I’m not a morning person so waking up and making a cup of coffee always give me a little bit of motivation. Lately I have been all about pumpkin spice coffee. Don’t get me wrong I love going to a coffee shop and getting one too but I making it myself just gives me more satisfaction. Is anyone else like this? 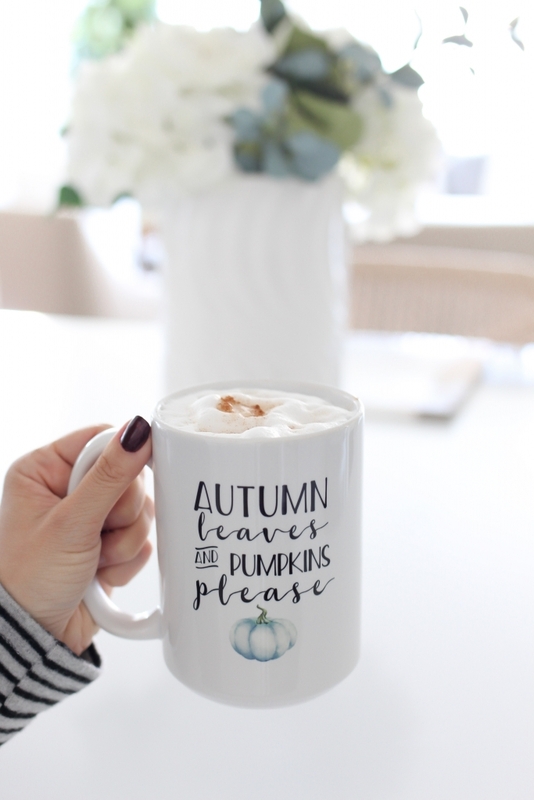 If you are hoping that this recipe isn’t too difficult you are in luck my pumpkin spice coffee recipe is really simple to make. If you haven’t notices a lot of the things that I make including recipes are really easy to recreate. 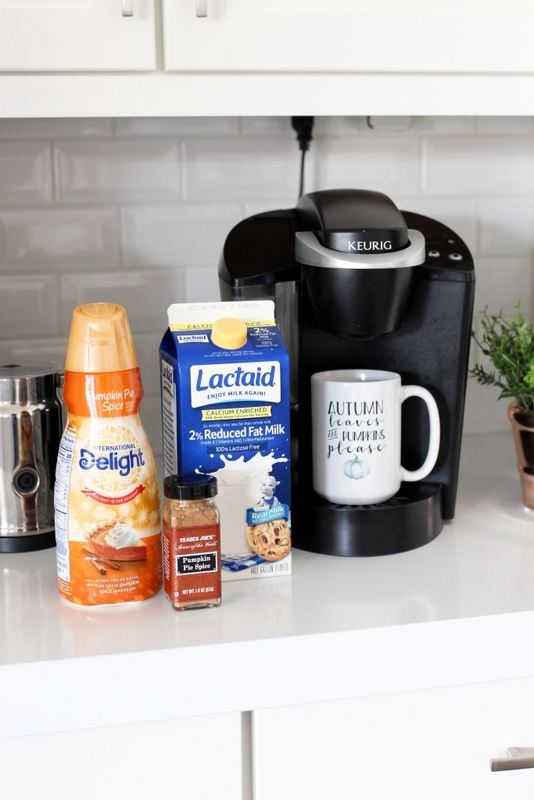 In a milk frother I put one 1/4 cup of Lactaid milk (use milk of your choice) I have been using lactaid milk for years now and love it, add in 2 tablespoons of I.D pumpkin pie spice creamer ( SO DELISH), and 1 half teaspoon of pumpkin pie spice seasoning. I hope you all enjoyed today’s recipe post. If you decide to make it make sure tag me in you Instagrams or stories @monicsutter. I wish I could meet up with you all so that we could share a cup together! This weekend is going to be super busy with a few new projects to shoot for that I cant wait to share and make sure you are following along with me on Insta @monicsutter because the hubby and are doing another LIVE but we are going to be making something really fun and chatting! I just got back from grocery shopping and now I need to go back to buy all the things you used to make this delicious pumpkin drink. Will be drinking this non-stop. Thank you for sharing this recipe!